Congressman dined in Russia and D.C. with accused Russian agent Maria Butina. When FBI counterintelligence agents plowed through the emails of alleged Russian agent Maria Butina’s networking around Washington, they discovered her plan to arrange “friendship and dialogue dinners" with influential Americans. At one dinner, ABC News has learned, in February 2017 at the tony French eaterie, Bistro Bis, one guest who dined with the then-28-year-old Russian was a California Republican congressman on the House Foreign Relations committee, Dana Rohrabacher. Rohrabacher’s office confirmed he attended. (AP FILE) Maria Butina, leader of a pro-gun organization in Russia, speaks to a crowd during a rally in support of legalizing the possession of handguns in Moscow, Russia, April 21, 2013. It wasn’t their first meeting. 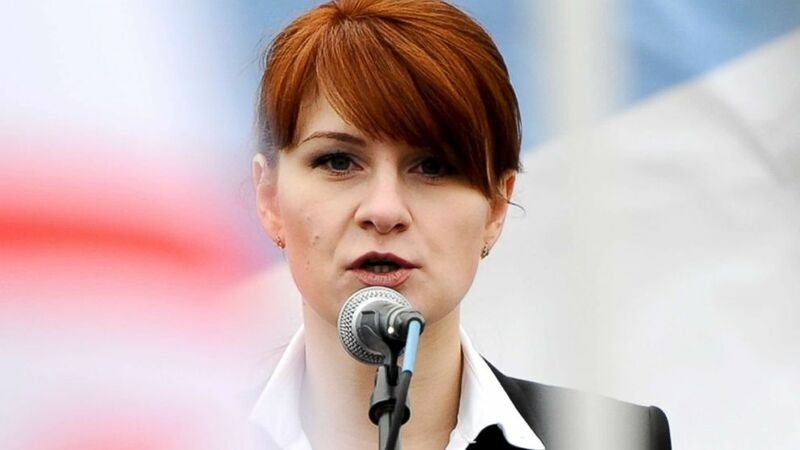 Two years earlier, Butina had helped arrange a meeting in St. Petersburg, Russia that included Rohrabacher and her mentor, Kremlin-connected banker Alexander Torshin, federal officials have confirmed. 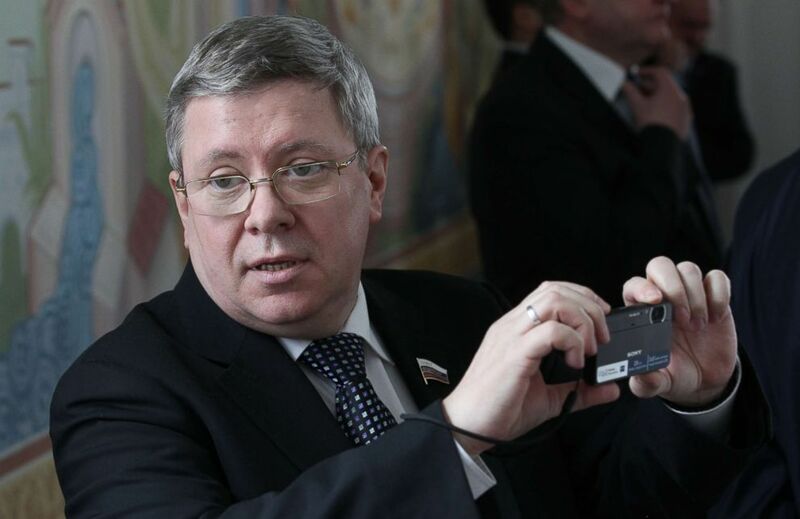 (Sasha Mordovets/Getty Images) Russian Council of the Federation Deputy Chief Alexander Torshin is seen during a meeting, April, 3, 2012 in Maloyaroslavets, Kaluga region, Russia. To Rohrabacher’s critics, these repeated interactions with a woman now jailed on suspicion of mounting an influence campaign at the behest of the Russian government, have added more fuel to longstanding questions about his Kremlin connections. This past weekend, anti-Putin crusader and businessman Bill Browder told a room of national security experts gathered in Aspen that he believes Rohrabacher is "on the payroll of Russia." "I believe he is under some type of influence by the Russian government," Browder said. Rohrabacher has steadfastly rebutted those claims, criticizing the recent broadside from Browder, a British citizen, for interfering in U.S. politics. In one interview with ABC News last year, he decried what he said were "personal attacks" on his patriotism. "They call me Putin's best friend. I'm not Putin's best friend," he said. "I'm a patriotic American who knows that it would be really good for America to cooperate with Russia. I could care less whether it's good for Russia." But the Butina meetings and references to Rohrabacher in an FBI affidavit –- his office confirming he is the unnamed congressman who met with her -- add to a growing list of contacts he has had with central characters in the ever-evolving Russia probe. 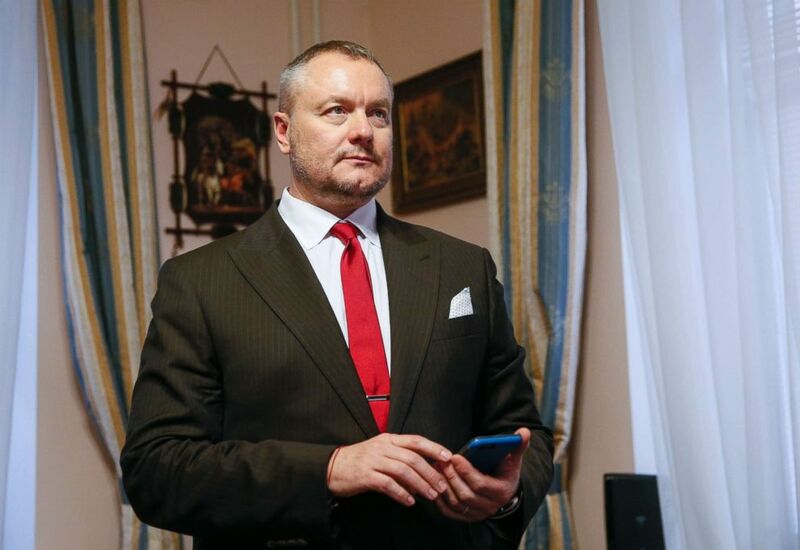 Rohrabacher declined repeated interview requests for this story, but his spokesman, Kenneth Grubbs, has argued the range of Russian contacts should come as no surprise, given the congressman's assignment as the chairman of the committee overseeing U.S. relations in Eastern Europe. 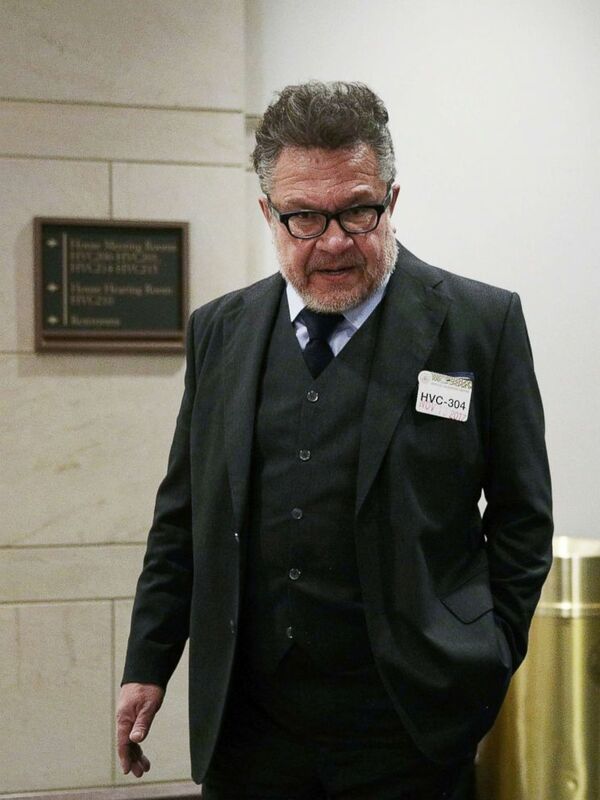 "Given any level of Russian activity or interest in relations with the United States, it is not surprising their agents or even their transplanted citizens would be magnetized toward the business of the subcommittee overseeing Russia and its chairman," Grubbs told ABC News earlier this week. "It is also proper that Chairman Rohrabacher would be guardedly open to their communications." After ABC News published this story, Rep. Rohrbacher said he did not remember speaking with Butina at the Bistro Bis dinner. "Her job was arranging chairs at a dinner, a gopher, and I sat at the opposite end of the table," Rohrabacher said. But the number of meetings he has held have attracted attention. Matt Olsen, a former senior national security official who now serves as an ABC News consultant, said he was surprised Rohrabacher was not "far more circumspect about whom he associates with from Russia." "He should be very skeptical about interacting with Russians individuals who actually may be targeting him for intelligence purposes," Olsen said. In January 2017, Rohrabacher hosted an inaugural ball at the Library of Congress that attracted several Russian figures whose names have since surfaced during the investigation of election interference by special counsel Robert Mueller. The event was organized by his close aides, and tickets bought by guests were counted as campaign donations. "It is common for state delegations to presidential inaugurations to put on state inaugural balls. Texas' Boots Ball is probably the best known," Mike Schroeder, political director and spokesperson for the Rohrabacher campaign, told ABC News of the congressman's Liberty Ball. "The last two times we had a Republican president inaugurated, Dana Rohrabacher organized the California ball." Among the guests were two of the participants in the now-infamous 2016 Trump Tower meeting hosted by Donald Trump Jr., where the president’s son had expected to receive "dirt" on Hillary Clinton. Russian-American lobbyist Rinat Akhmetshin and Russian lawyer Natalia Veselnitskaya were both in photographs of the event later uploaded on the website for the congressman’s ball. (Alex Wong/Getty Images) Russian-American lobbyist Rinat Akhmetshin arrives at the Capitol for a closed door meeting with the House Intelligence Committee, Nov. 13, 2017 in Washington, D.C. Akhmetshin was reported as one of the people who participated in the June 2016 meeting between Russian lawyer Natalia Veselniskaya and Donald Trump Jr., and other Russian Trump campaign officials. Akhmetshin confirmed to ABC News that he attended Rohrabacher's inaugural ball. 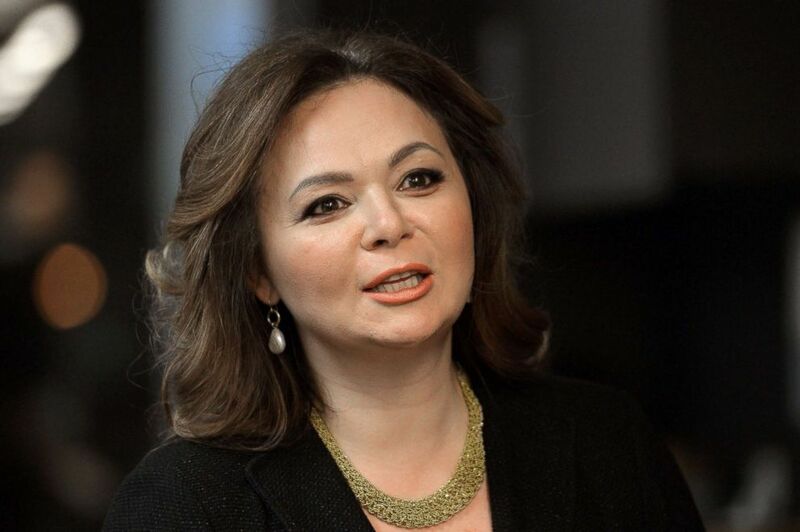 Veselnitskaya did not immediately respond to ABC News’ request for comment. But Rohrabacher’s spokesman, Kenneth Grubbs, said the campaign had no record of Akhmetshin or Veselnitskaya purchasing tickets to the event. "Apparently, there was some party-crashing going on," Grubbs said. Rohrabacher had previously met Veselnitskaya during an official trip he made to Moscow in April 2016, according to congressional records. Later that summer, Rohrabacher traveled to London and met with WikiLeaks founder Julian Assange, who controlled the release of hacked emails damaging to Hillary Clinton. Rohrabacher, a vocal advocate for Assange, has denied knowledge of those leaks. (Yuri Martyanov/AFP/Getty Images, FILE) Russian lawyer Natalia Veselnitskaya speaks during an interview in Moscow, Nov. 8, 2016. Another guest at the inaugural event was Erik Prince — the Trump supporter and founder of the security firm Blackwater who is alleged to have secretly met with a high-ranking Russian official in the Seychelles during the transition – a meeting Prince has maintained was an unplanned casual encounter at a bar. He has said he is cooperating with the Mueller investigation. A representative for Prince declined to comment on Prince’s decision to attend Rohrabacher’s inaugural event. 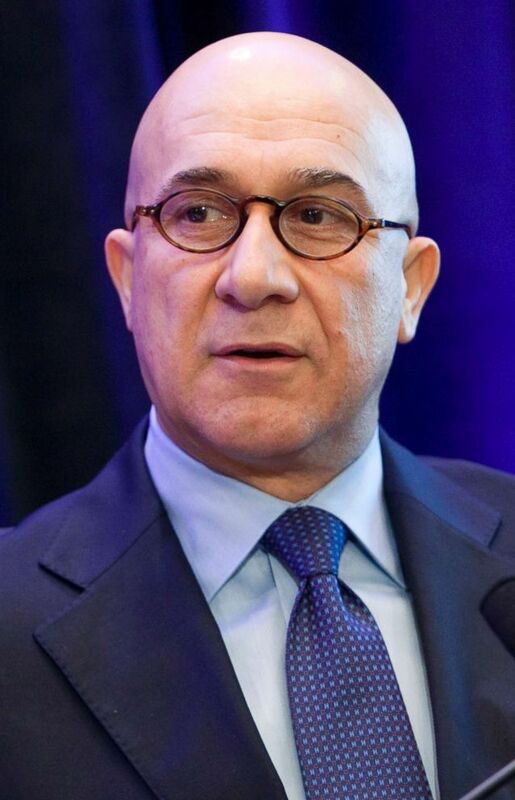 And photos from the inaugural ball show businessman Bijan Kian, the one-time business partner of former national security adviser Michael Flynn who was on Trump’s transition team, floating among the party guests. Their former firm’s lobbying activity has also been part of the Mueller investigation. (Bloomberg via Getty Images, FILE) Bijan Kian speaks during the Kazakhstan Investment Forum in New York, Nov. 24, 2009. A former member of the Ukrainian parliament who appeared before Mueller's grand jury last month told ABC News that he, too, was invited to Trump’s inauguration by Rohrabacher, whom he called "my personal contact in Congress." (Valentyn Ogirenko/Reuters) Ukrainian lawmaker Andriy Artemenko watches a news conference of Prosecutor General Yuriy Lutsenko and Head of the Security Service of Ukraine (SBU) Vasyl Hrytsak at his office in Kiev, Feb. 21, 2017. He made a similar argument during an interview with ABC News last year. "I have talked to a lot of Russians and that's part of my job -- to hear what they've got to say and also to try to influence what they're doing,” Rohrabacher said. “I'm sure they want to know what's in my brain and what I'm talking about, what I believe." Grubbs offered the same explanation for the congressman’s repeated contacts with Butina, the alleged Russian agent, saying the discussions "all came under the normal, fact-finding auspices of the Foreign Affairs Subcommittee on Europe, Eurasia, and Emerging Threats, which, as you know, he chairs." Following her July 15 arrest, Rohrabacher defended Butina, calling the charges "bogus" in an interview with Politico. He accused the Department of Justice of trying to undermine Trump after they went public with the indictment of 12 Russian operatives just days before Trump’s summit with Russian President Vladamir Putin in Helsinki, Finland. Robert Driscoll, a lawyer for Butina, denied the allegations announced on Monday that his client is an agent of the Russian Federation. "The substance of the charge in the complaint is overblown," Driscoll said in a statement to ABC News last week. "While styled as some sort of conspiracy to violate the Foreign Agent Registration Act, in actuality it describes a conspiracy to have a 'friendship dinner' at Bistro Bis with a group of Americans and Russians to discuss foreign relations between the two countries." It remains unclear how his repeated contacts with alleged Russian operatives will play in his Southern California congressional district, where he was first elected in 1988. The GOP incumbent – who is seeking a 16th term in Congress – is facing a tough re-election bid in the 2018 midterm elections. ABC News’ Soorin Kim, Matthew Mosk, James Gordon Meek and Tara Palimeri contributed to this report.